"When David and I developed these simulations, applications to the dissolution of geological material at the bottom of the oceans were far from our minds. It just goes to show you that scientific research can sometimes take unexpected detours and pay unexpected dividends,"said Arbic, an associate professor in the University of Michigan Department of Earth and Environmental Sciences. 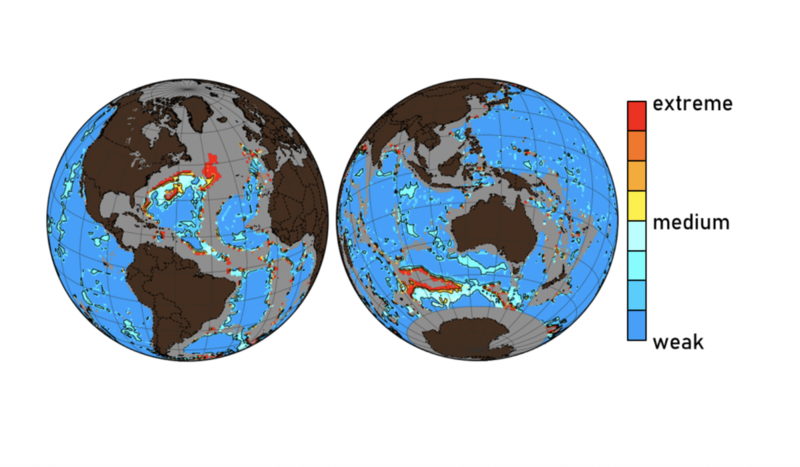 "This study shows that human activities are dissolving the geological record at the bottom of the ocean,” says Arbic. “This is important because the geological record provides evidence for natural and anthropogenic changes."